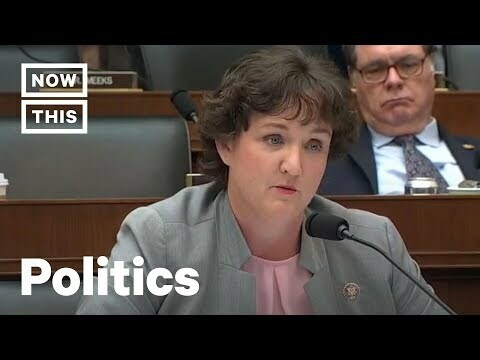 Rep. Katie Porter asked billionaire bank CEO Jamie Dimon to explain why he can’t find the money to pay his employees a livable wage. In US news and political news, members of Congress questioned 7 CEOs from big banks in Washington, D.C. last week. With money in politics, dark money, and Super PACs on eveyrone's mind, Congress pressed the banking leaders on many issues. Among those representing the big banks and Wall Street was JP Morgan Chase CEO Jamie Dimon. Rising star in the House of Representatives for the Democratic party Katie Porter pushed Jamie Dimon the issue of a livable wage and minimum wage. Porter detailed the budgetary math of one of Dimon's employees on his bank's minimum wage by explaining this worker's wages and then budgetting all of their expenses. Meet the artist who uses math to make never-ending blooming sculptures.